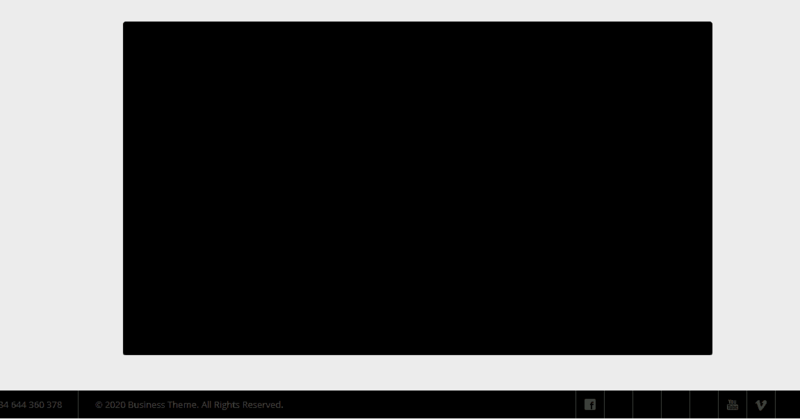 Every now and then a user asks a question about how to customize the appearance of the FV Player on his/her website. Modifying the color scheme and the font can be done very easily in the Skin settings (here's a guide on how to do that - Customizing FV Player Skin), but there is a lot of other things you can set up outside the Settings screen just by applying some basic CSS knowledge. Remember to always add these CSS tweaks to your theme's stylesheet. If they were added to FV Player's stylesheet, they would be overridden by every update. Interactive Transcript is one of the great features you will get with the Pro version of FV Player. It will use a VTT file to show a dynamic text transcript in a box below the video. The text will follow the video playback and highlight the current line. It will also allow viewers to skip to any point in the video by clicking on other lines in the transcript. 1. Wrap the video shortcode with a DIV that uses a clearing class. Typically, all themes include a class called .clear or .clearfix. These are used whenever you want to wrap columns or floated elements so they don't just hang around wherever they (or the browser) want. 2. Move the transcript to the side - now that we have it all wrapped, we can start moving, the video to the left and transcript to the right. You get best results if the width of your videos is set to 640px. 3. Bring it back for mobiles - transcript on the side will really work best only on desktops and large screens. For smaller devices we need to add some media queries, to bring them back under the video. You can either just copy this part of the code somewhere near the end of your stylesheet or incorporate it into your existing media queries, if you know HTML well enough. Here's a quick guide on creating a custom frame from an image and have the FV Player placed inside it. You will need an image that will serve as the frame in the background, preferably in .png format. To make the player fit, you have to set the size of the video in accordance with the background image. To set the size and other features of the image, you will need to wrap the video in a <div> tag with custom id. The id will be styled in CSS and will contain the background image itself, size, and padding. The padding needs to be set individually for every theme, so you'll have to give it a couple of tries to make it fit perfectly. Note: Please keep in mind that this solution is not responsive and won't work properly on mobile devices. The custom video ads feature available for the FV Player Pro users comes with a text that informs the viewer about the time that remains until the ad could be skipped. 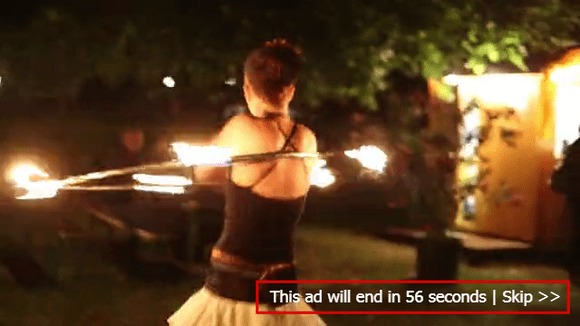 The time can be set manually in the player's settings and after the countdown finishes, the Skip button will appear and let the viewers skip the ad. Some of our users were asking about how to modify this text, so here are some possibilities. The example above has two parts. The first selector alters the color of the “This ad will end in … seconds” text and the second one alters the color of the “Skip” button. You can of course use different colors than red or blue. You can hide the text entirely, disabling the ability to skip, for the viewers. Just add this CSS code to your template's style sheet, by going to Appearance> Customize> Additional CSS, and pasting it into the code box there. Click “Publish” and now the message no longer displays. The subtitles in FV Player can be customized in Settings > FV Player > Skin tab > Subtitles. You can change the font face, size and color of the background along with the background opacity. You can read more about it in this guide - Customizing FV Player Skin. In case you would like to edit the subtitles beyond the options available in the player's settings, you can use these CSS selectors. Note: We have rounded corners on span.fp-subtitle-line. Make sure these corners look OK on all screen sizes if you add custom styling. If you are for some reason unsatisfied with the default position of the subtitles (in the bottom part of the video), than you can use this code to place them in a new position - under the video box. 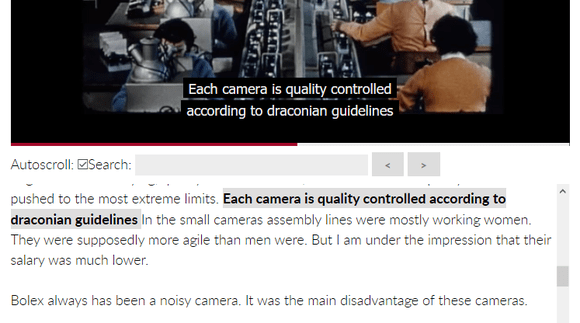 The subtitles will be shown in a black box below the video, that will appear only when the text is loaded, so it doesn't disrupt the design of your website. However, they will be shown in their default position when in the full-screen mode. There is one thing to remember - the code below works only if you use default text-size for subtitles, which is 16px. If you change it in your player setting, you also have to adjust the `.flowplayer .fp-subtitle` bottom property to one, that will match the subtitles under your player. The sizing also depends on what is the line-height of your theme, so even if you use the default size, there might be a gap between the video and the subtitles below. Please adjust it as mentioned above with the bottom property. When the video is loading and hasn't started yet, it's possible to see the default black background for a fraction of a second. Most of the elements on FV Player's control bar can be changed in the Skin settings. A couple of things are missing, though, and that is adjusting the color of the play button, pause button, sound icon, and time counter. You can change the value #27CE73 and use any color you want. This code will allow you to make the edges of the video transparent, when the video lightbox is active. You can see how it works in the example videos below. The default play icon in FV Player can be edited in two ways. You can replace the background image and therefore use a custom play icon and you can also change the size of it. Replace the URL path with the one you want and don't forget to use the center and no-repeat elements. To change the size, just alter the background-size property. The free version of FV Player allows users to set the overlay ads - the classic banner pop-ups that appear during the video playback. These can be created from scratch, showing just a link or a custom call-to-action button, or you can use ad code from services such as Google AdSense. You can read more about the overlay ads in the guide Overlay Ads in FV Player. The width and height properties define the size of the clickable field and the background-size defines the size of the "x" icon itself - therefore they should be the same size. While the slow pulsing of the Now Playing playlist box is normal, we've heard that some people find it distracting. If you'd like to disable it, just use the following CSS code. This will also display the Now Playing playlist box in red.